Life insurance should more properly be called death insurance, because the event that matters is someone’s death. A life insurance policy is essentially a contract between an insurance company (insurer) and another person (owner or policyholder). The insurance company agrees to make a lump sum payment (death benefit) upon someone’s death to beneficiaries named by the owner. In return, the owner makes regular payments or even one large payment to the insurance company known as premium payments. The person whose death triggers the death benefit is often, but does not have to be, the owner of the policy. The face amount of the policy is the initial or maximum amount that the policy will pay upon someone’s death, although sometimes the death benefit may be less depending on the terms of the policy. The cash value or the “cash surrender value” of a policy is the amount that the insurance company will return to the owner in the event the owner cancels the policy. Depending on the type of policy (which is discussed in more detail below), this amount can range from $0 to the actual amount of premium payments you have paid to the insurance company, minus fees and costs charged by the company for maintaining your policy. Some policies allow you to invest your cash value, which allows that value to grow over the years, just like a mutual fund or other investment account. 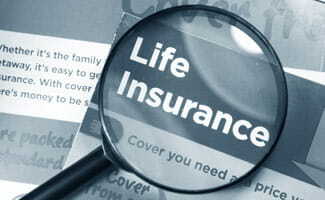 The terms of life insurance contracts vary widely from company to company, and policy to policy. Special exclusions or limitations may apply which prohibit the payment of death benefits upon suicide, or in the event the owner or insured defraud or misrepresent the insurance company. Some policies offer the payment of funeral expenses while others offer pre-death payment of benefits in the event the insured enters a nursing home. The contract dictates all of the rights and responsibilities that the owner and the insurance company have, and there are a lot of them. Life insurance is all about risk. When a potential owner applies for life insurance, the insurer will want to know the age, gender, and medical history of the person (and the person’s family) it plans to insure. The company will also be interested in the insured’s lifestyle; smoker or nonsmoker, hobbies, driving record, education; all in an effort to determine how much of a risk it is to agree to insure this person’s life. Older persons, smokers, and people with poor medical history will typically pay higher premiums. If the risk is too great, an insurance company will reject a person’s application for a policy and refuse to provide insurance to them. In this case, the person may wish to seek out Simplified or Guaranteed Issue Life Insurance. For those that prefer a visual representation, sit back and watch this video for additional guidance on life insurance. “The foundation of life insurance is the recognition of the value of a human life and the possibility of indemnification for the loss of that value.” ~F. C. Oviatt, Economic place of insurance and its relation to society (Wikipedia page on life insurance). Buying insurance isn’t necessarily permanent. If you purchase insurance now, and in fifteen years you no longer need it, there are options. You can reduce your benefit, cancel the policy, or invest in a different kind of policy. Don’t be intimated by life insurance. It sounds far more complicated than it is. If you find that you need insurance, the right choice is out there for you, and there are many people out there who can help guide you to the right fit for you and your family.